(Music On Vinyl-Epic-OKeh) 12 Tracks - Limited-Numbered Edition! Translucent blue vinyl! 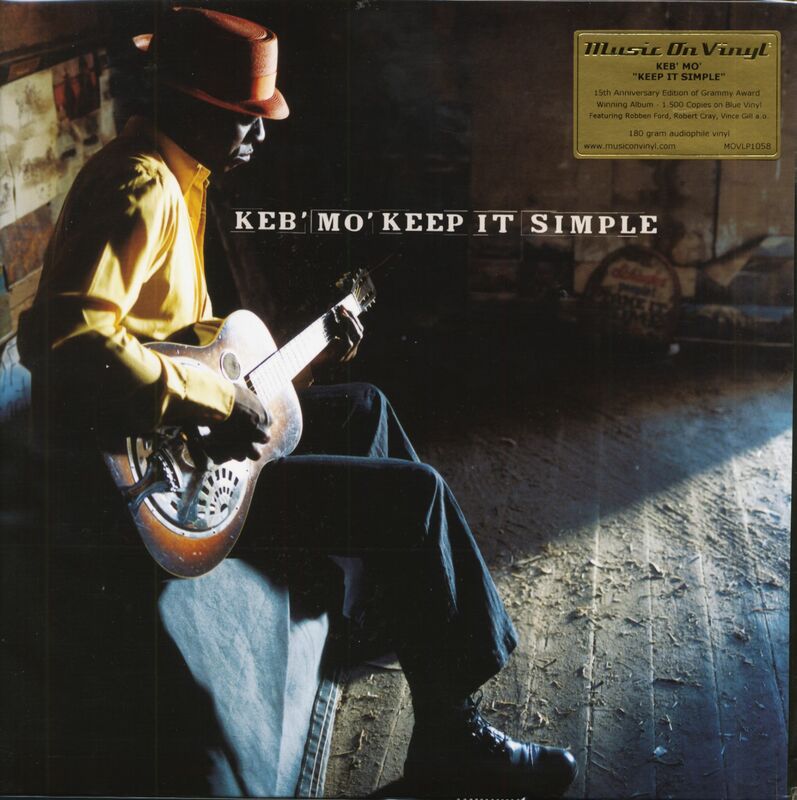 Keep It Simple (2004) is the seventh studio album by blues artist Keb 'Mo'. The album won a Grammy for Best Contemporary Blues Album in 2005 and includes guest appearances by Robben Ford, Robert Cray and Vince Gill as well as many other companions. Keb 'Mo' has developed a warm, catchy and expressive blues version of Pop Americana, which deals with current problems like the payment of the mortgage, the high price for coffee etc.. Over the last two decades, Keb 'Mo' (née Kevin Moore) has earned a reputation as a modern master of American roots music through his live and studio performances. His songs have been recorded by B. B. King, Buddy Guy, the Dixie Chicks, Joe Cocker and Robert Palmer. His acting career began in the early 90s. 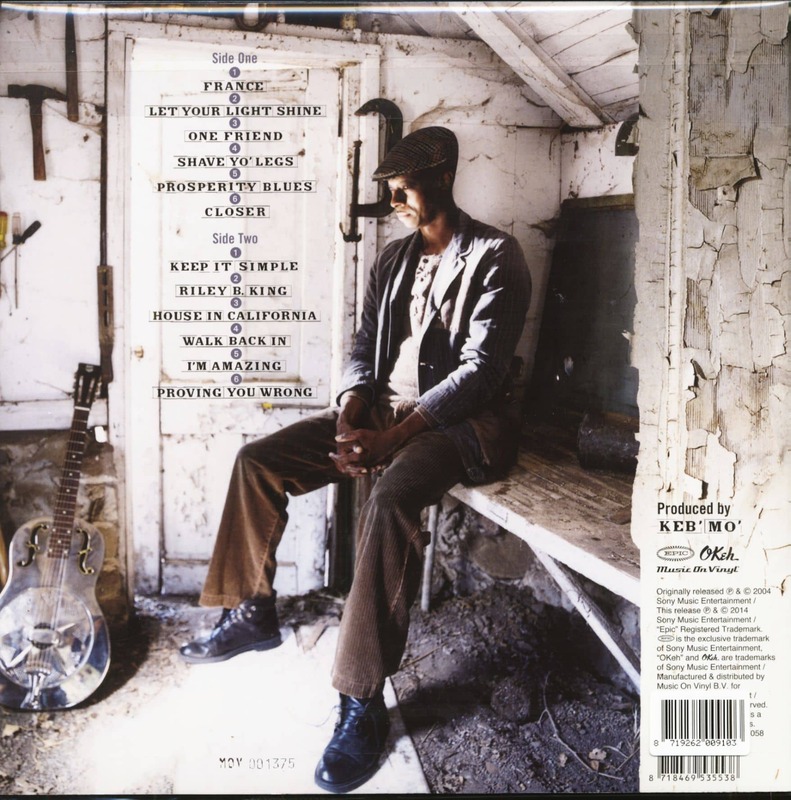 In 1998 Keb'Mo portrayed Robert Johnson in the documentary Can't You Hear the Wind Howl. Customer evaluation for "Keep It Simple (LP, 180g, Translucent Blue Vinyl, Limited-Numbered-Edition)"